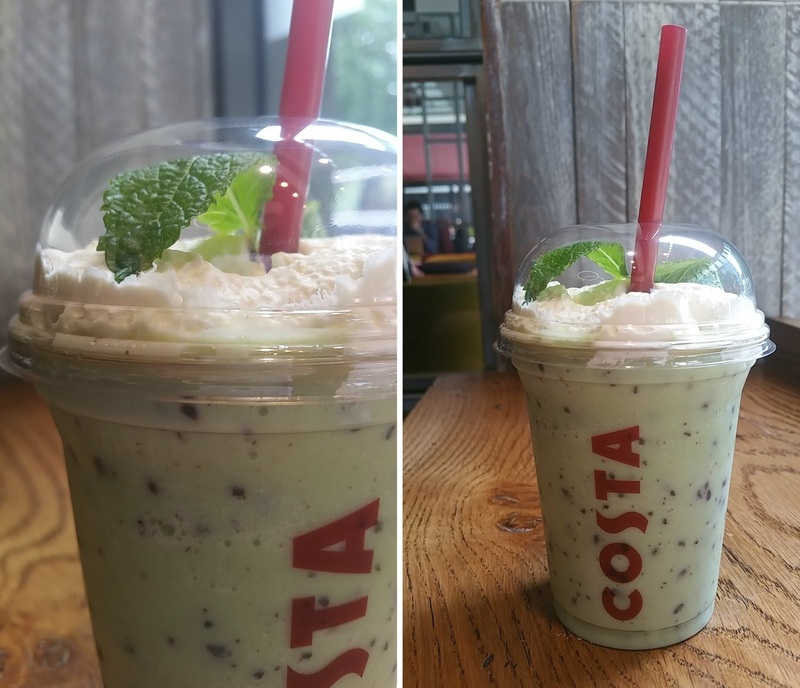 I was super pleased when I saw my favourite drink from last years Costa summer collection back on the menu this year and since its been so hot these last couple of weeks, I have been drinking them whenever I get the chance! In case you were wondering which drink I mean, its the Mint Choc Chip Creamy Cooler topped with Costas thick whipped cream - it really is delicious and very refreshing for something so milky. I love how familiar it tastes. Mint Chop Chip in itself reminds me of family days spent at Southend and lunch at Rossi's. I never liked it as a flavour growing up but my mum would always order it, now of course, I love it, especially as a summer flavour! Whats Your Favourite Summer Drink?